Size: Small/Medium, Color: Red/White/Blue is currently out of stock! 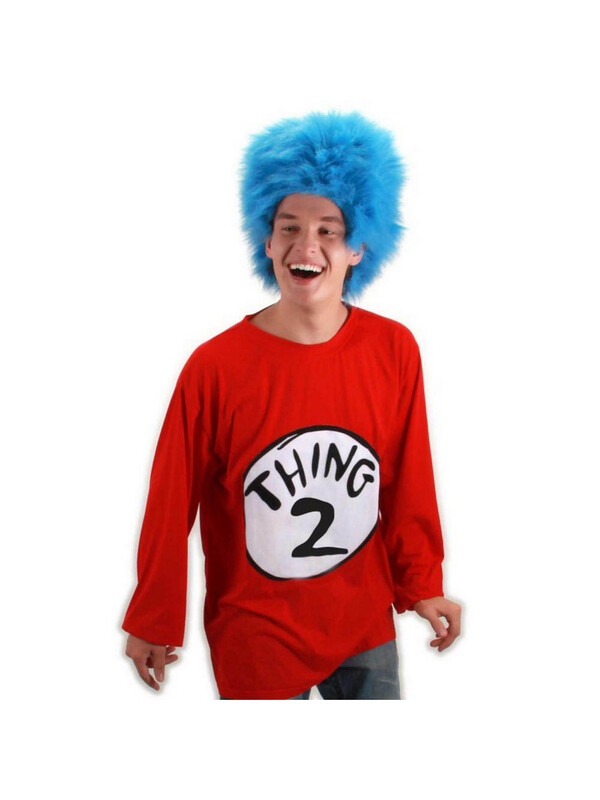 Includes: (1) character long sleeved shirt with "Thing 2" printed on it and (1) blue wig. Does not include pants. This is an officially licensed Dr. Seuss product.